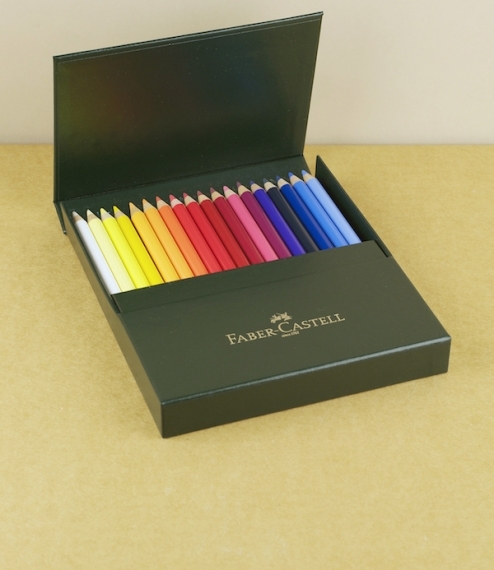 Faber Castell's Polychromos artists' colour pencils have particularly soft waterproof wax leads. Their smoothness and resistance to smudging makes them a pleasure to use. The leads are not brittle, and can be sharpened to a very fine point; this allows you to draw filigree detail as well as cover extended areas completely with colour. 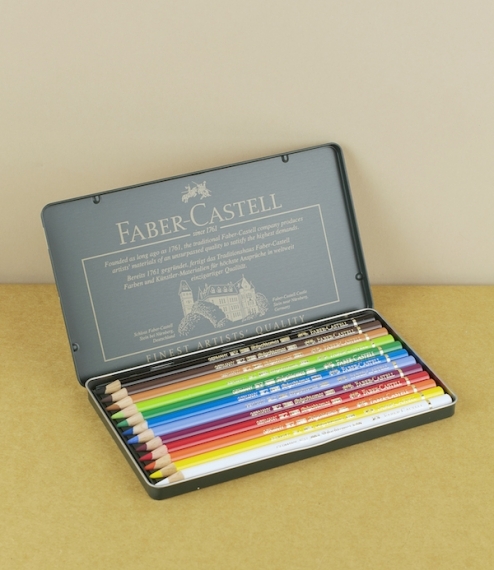 Available in either a magnetically closed box of 36 colours, or else a smaller tin of 12.